Macs OS support various file systems which are used by storage drives. Normally, they format disks with the built-in Mac-only OS X Extended file system. However, if you want to use an external drive with both Macs and PCs, you should format the disks or drives with the exFAT file system as an alternative. It is pretty simple to format your external drive on a Mac OS’s Pc. So you will have to check if your external or USB drive is using the right format. Luckily for you, we have explained the process to take if you want to format your external drive on your Mac pc. The first thing to do here is to check whether your external drive is using the right format. Therefore, how will/can you know if your external drive is using the right format? Don’t panic, you don’t have anything to do with the Disk Utility. 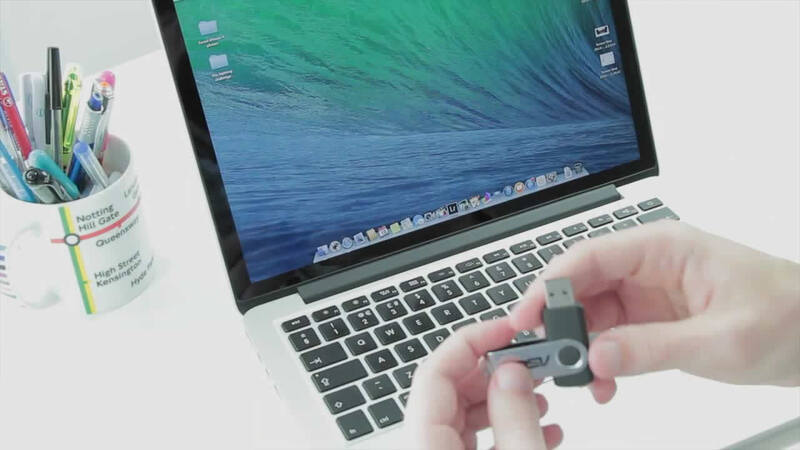 Now, plug in your external drive such as USB drive, and then open the Finder. Then a pop will appear, displaying the drive’s file system information below the General heading. For instance, the screenshot below shows that the drive is formatted with the exFAT file system. So if you wish to use a different file system on your external drive, you’ll have to “format” it again to the file system you want to format it to. And also, as we all know formatting your external drive will wipe away all its data totally. As a result of that, make sure you have all your data backed up. So we are going to focus now on how to format an external drive on a Mac. 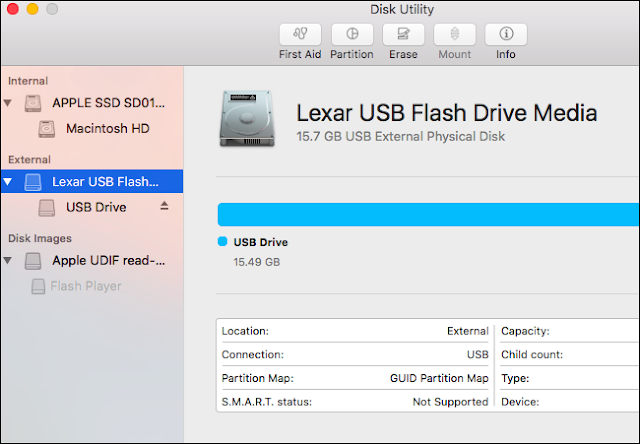 Now to format a drive on a Mac, you’ll be using the built-in Disk Utility application. So press the Command + Space button to open the Spotlight search dialog, then type “Disk Utility”, and then press “Enter” to launch the app. Alternatively, you can open the Finder window, click on “Applications” in the sidebar, and navigate to Utilities -> Disk Utility. Then your plugged in or connected drives will appear below the “External” in the Disk Utility’s sidebar. Now select the drive by clicking its name. 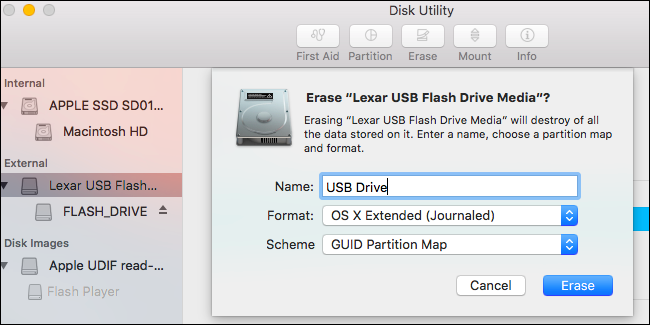 Then click on the “Erase” button after choosing the entire drive you want to wipe out and creating a single partition on the drive. Then you’ll be prompted to give a name to the disk, which will appear and you can identify the disk with, whenever you plugged it to a Mac, PC, or another device. We’ve taken our time to explain the several file systems you can choose while formatting your drive on Mac depending on what device you are using it on or what you want to use it for. This is the default file system on Mac PC that is, it is only supported natively on Macs PC. It is also called HFS+. This type of file system is required, if you want to use the drive for Time Machine backups. Or else, you’ll need to use the exFAT file system for highest compatibility. This is a case-sensitive file system, i.e. “file” is different from “File”. Generally, Mac OS X does not make use of a case-sensitive file system. This choice is only available because it corresponds with the usual behavior of UNIX and some people might want it. So do not select this except you know what you need it for. This is similar to the regular OS X Extended file system, but with just encryption. So with this, you’ll have to always provide a password whenever you plug your drive to your Mac before you can have access to its files. This is also similar to the regular OS X Extended (Case-senstiive) file system, except with just an encryption. So with this also, you’ll have to always provide a password whenever you plug your drive to your Mac before you can have access to its files. 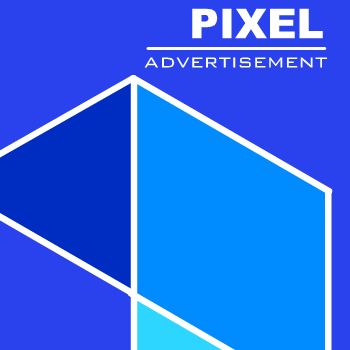 It is the most broadly compatible file system, but it has some drawbacks or restrictions. For instance, the files can only be 4GB or less in size each. Don’t choose this file system except you have a device that needs FAT32 file system. This is also nearly and broadly compatible just like the older FAT file systems, but doesn’t have the restrictions or drawbacks. I recommend you to choose this file system if you want to use your drive for other OS like Windows PCs or Linux pcs, or devices the PlayStation 4 and Xbox One consoles. ExFAT file system is the perfect cross-platform file system. But, it is not supported on many Linux distributions; nevertheless, you can still install exFAT support on Linux. When using external drives, it usually makes a lot of sense, if you format your drive in ExFAT file system, except want to use the drive for Time Machine. So, you’ll also be prompted to choose between a partition schemes which are GUID Partition Map, Master Boot Record, or Apple Partition Map. GPT is more new and modern, while MBR is older. And both as well work with Windows PCs. APM is an older, Mac-only partition scheme. You don’t really need this choice, if you don’t plan on booting from the drive. But just select the default GUID Partition Map (GPT) scheme. Do not choose the Mac-only Apple Partition Map (APM) scheme. 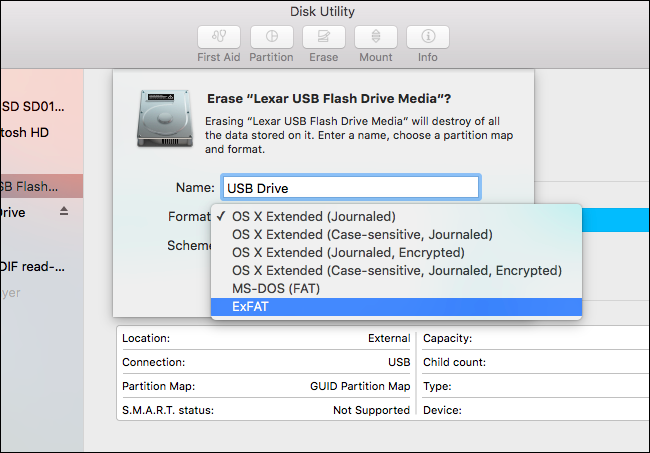 After choosing the file system you want to format your external drive to and choosing the partition scheme, click on the “Erase” button and then the Disk Utility will format your disk with the options you selected. By doing, it will erase all the files on the drive. So make sure you’ve already backed up your files. That is all. So ensure you eject the disk before you remove it from your Mac. 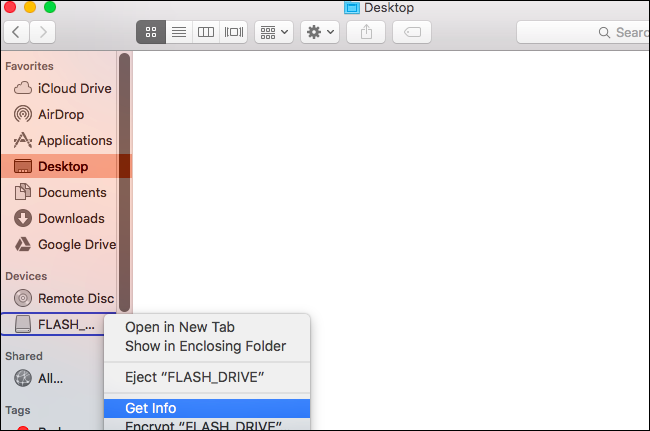 This can be done by clicking the eject icon at right-side of the disk in the Finder or Disk Utility windows. 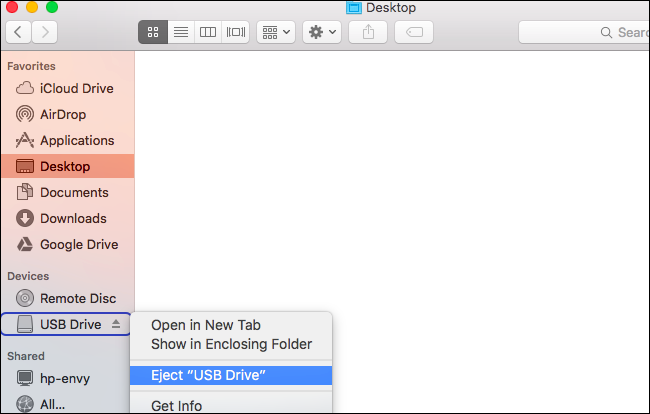 Alternatively, you can right-click or option-click the drive in the Finder or on your desktop and select the “Eject” option. Macs OS also have some restricted support for other file systems. For example, Macs can read files on Windows-formatted NTFS volumes, but can’t write normally to NTFS drives. Macs don’t have an included or built-in feature to format partitions with NTFS. So I recommend you to use exFAT for outstanding compatibility with Windows without FAT32’s drawbacks or restrictions.